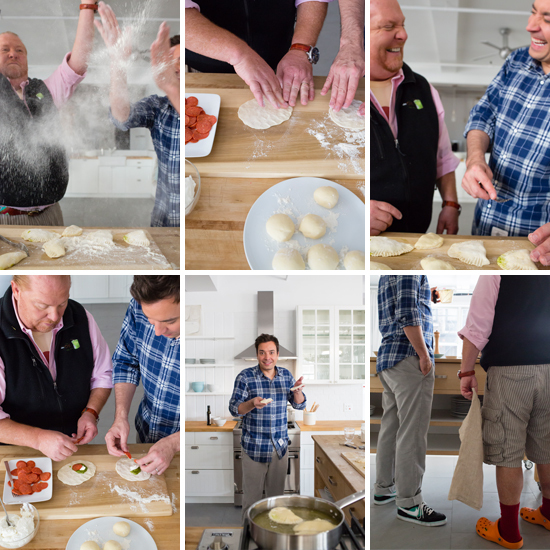 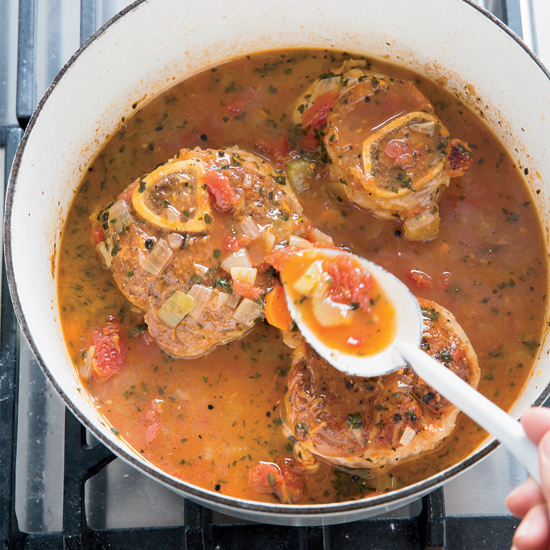 Here, Mario’s cooking tips and a behind-the-scenes look at the two stars hamming it up in the kitchen. 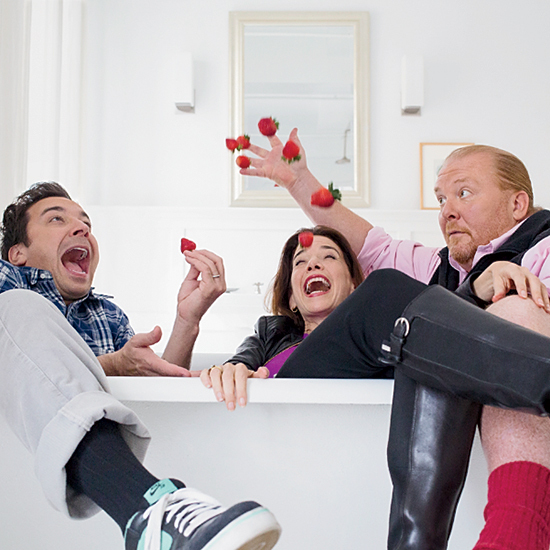 “When Jimmy Fallon saw that there was a bathtub in the studio, he insisted we all climb in—with strawberries!” recalls F&W editor in chief Dana Cowin from the shoot. 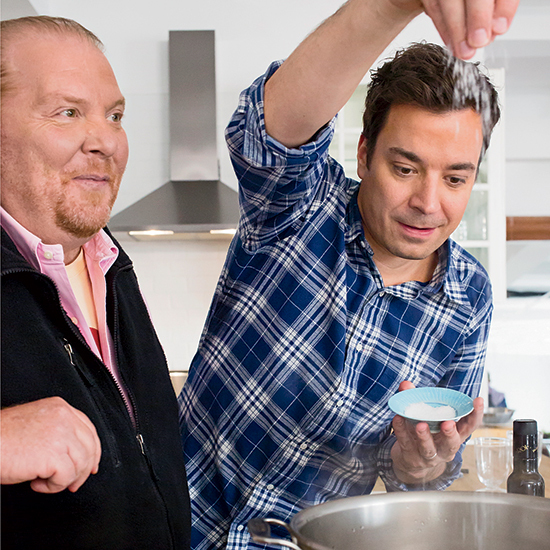 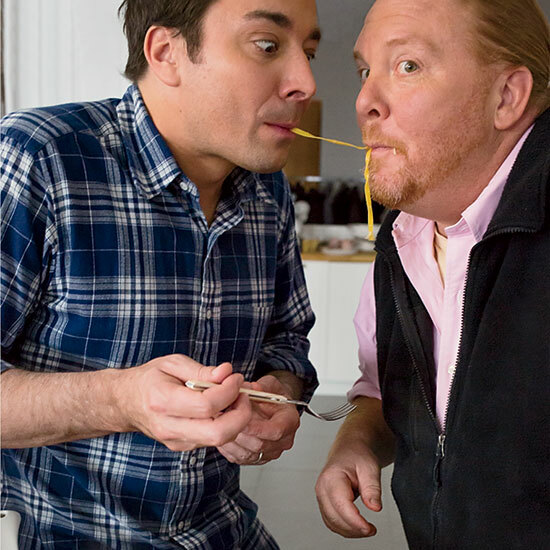 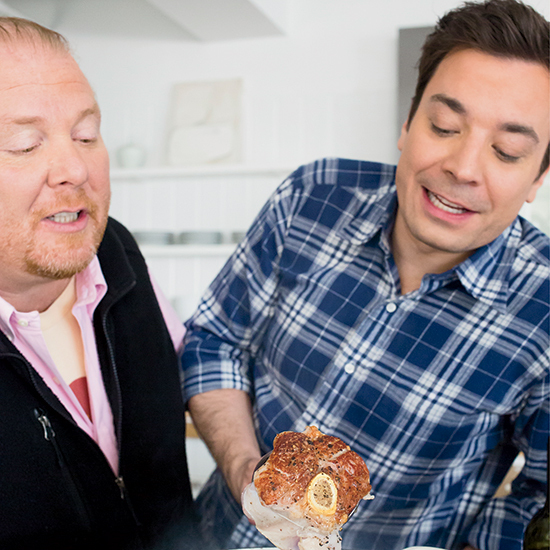 Batali selects a noodle and gives Fallon the opposite end, and they slurp toward each other, re-creating the famous scene from Lady and the Tramp. 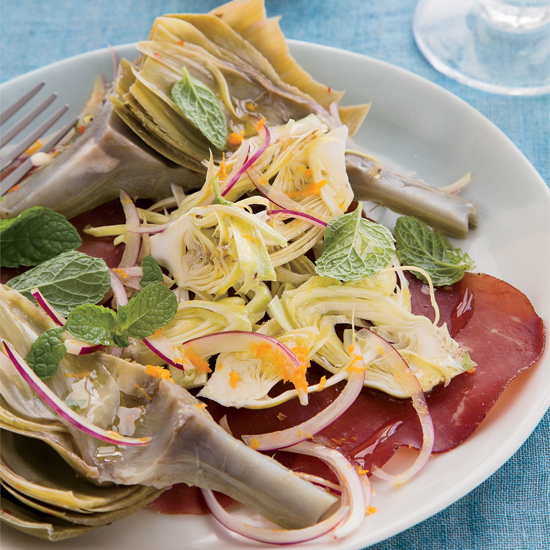 Serve baby artichokes raw for a dish like Artichokes Two Ways with Bresaola. 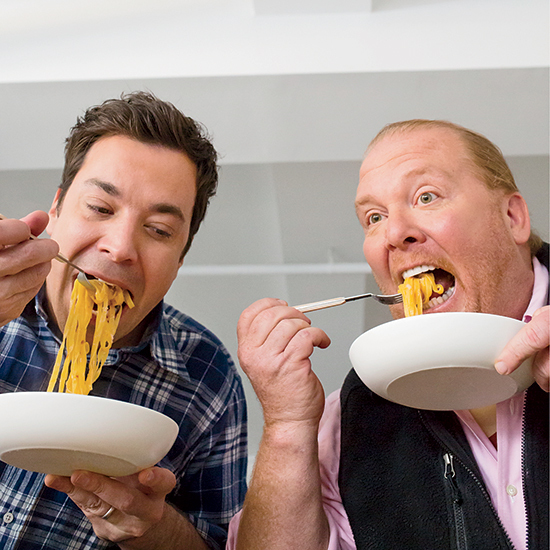 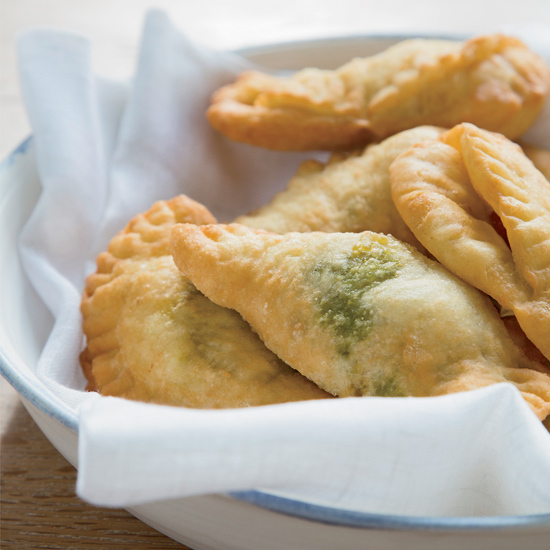 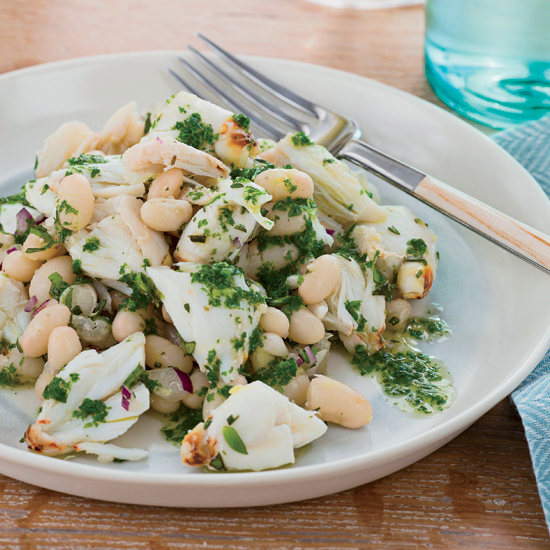 “Slice them very thin—a mandoline is best,” says Batali.